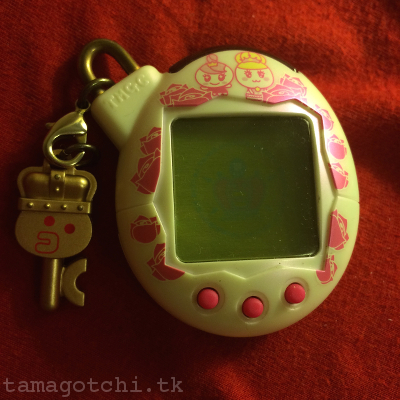 I just obtained this used Royal Familitchi (Family Tamagotchi) from someone in the Facebook groups and I have to say it is one of the most gorgeous virtual pets I have ever laid eyes on. This version basically functions exactly like the regular Familitchi, except that it has completely different royal characters and different games that are "high class" or "royalty" related, for instance, tennis lol Other than that, there is no difference in programming or gameplay. 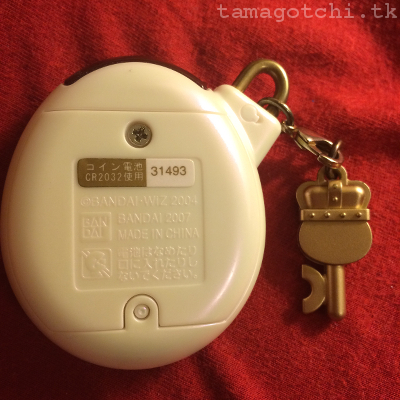 It is basically just like the V5.5 Tamagotchi, but with a different keychain/antenna on the side. Here are some pictures of the one I have below. I got mine for $35 used from someone on facebook, but they usually go for a lot more in package, maybe around $80-100 depending on the shell. The royal seems a little more rare than the regular family Tamagotchi. The royal shells are more pearlescent, so the shells may be more sought after for that reason.